Chic, airy and effortlessly modern. Embrace the call of style with the Nairobi Pure Wicker Dining Chairs in striking black. 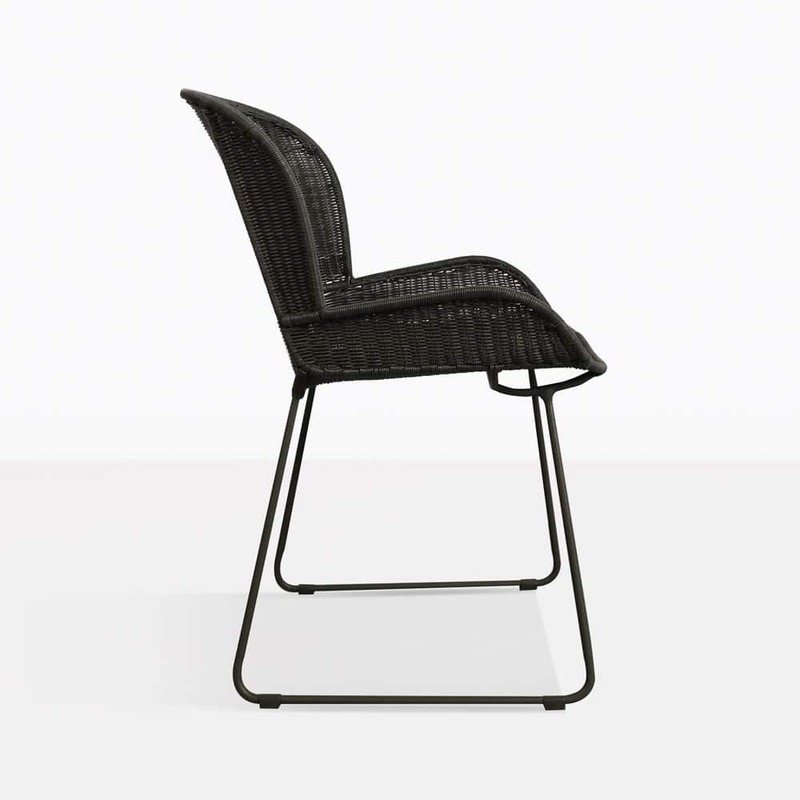 An elegant chair with state of the art materials that fits into a gloriously chic package, the Nairobi Pure Chair is the perfect piece to uplift and invigorate your outdoor area. A nod to fashion forward Scandinavian style furniture, the Nairobi has a strong, rounded frame, with sleigh legs and curved back and a seat that holds a gorgeous covering of tightly wound wicker. It is simple enough to fit in with any space, as well as other furniture – classic or contemporary! Don’t forget the Nairobi is available in a side chair, as well as a fabulous relaxing chair so you can truly create the outside living area of your dreams! Redefine your urban living area by surrounding a concrete dining table with the Nairobi Pure Wicker Chairs in Black. Allow the chic, dramatic hit of hard and soft surfaces to blend together seamlessly with these incredible products. A balcony will be a place to call home with the addition of a modest round table and two Nairobi Wicker Chairs. Choose from Nairobi in smart black or sleek white colour to cater to the look you wish to achieve. This is a chair that looks perfect indoors as well! Involve this look in your sumptuously stylish apartment and relish in the attractive, simple setting these Nairobi Chairs curate. 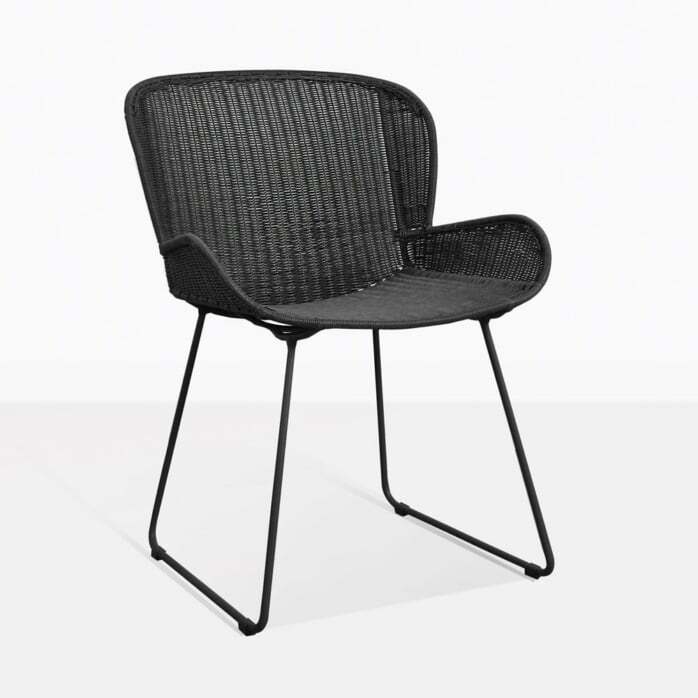 Made from tremendous state of the art materials, this Nairobi Wicker Chair has a frame made with robust black powder coated steel and then wrapped with through dyed and UV treated wicker. It looks incredible, feels amazing and is exceptional hard wearing quality. We are proud to offer you luxury, high performance furniture at wholesale prices and available for delivery all over New Zealand! 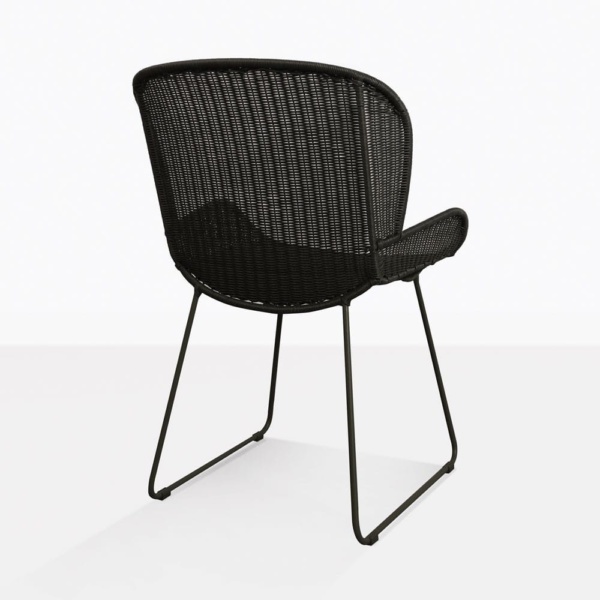 Time to call us and order your Nairobi Pure Wicker Dining Chair in chic black. Change the way you live… outdoors.